Out of print for over 100 years, this limited edition reprint of a rare Victorian village history is now once more available. E.G. 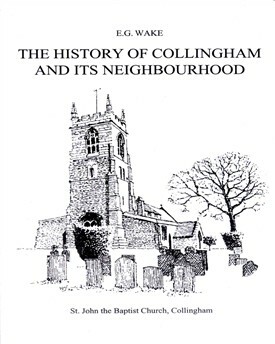 Wake’s history of the village of Collingham near Newark was first published in 1867. Whilst modern research and scholarship may have challenged some of Wake’s findings, the book remains the most important published history of the village to date. This page was added by Ruth Petersen on 21/05/2011.